WordPress, moteur de publication de mon site est comme un super gateau et les plugins comme de petites sucreries qui viennent décorer le gateau ! Et un petit clin d’oeil, ou plutôt un grand salut à la communauté francophone de WordPress sans laquelle la prise en main serait 15 000 fois plus longue. L’habillage de mon site est une adaptation du thème HemingwayEx de Nalin Makar modification lui même du très sympathique thème Hemingway. Share buttons for your pages including AddToAny's universal sharing button, Facebook, Twitter, Google+, Pinterest, WhatsApp and many more. By AddToAny. Used by millions, Akismet is quite possibly the best way in the world to protect your blog from comment and trackback spam. It keeps your site protected from spam even while you sleep. To get started: 1) Click the "Activate" link to the left of this description, 2) Sign up for an Akismet API key, and 3) Go to your Akismet configuration page, and save your API key. By Automattic. Out-of-the-box SEO for your WordPress blog. Options configuration panel | Upgrade to Pro Version | Donate | Support | Amazon Wishlist By Michael Torbert. Free 3D-Model Viewer | Forums: Link | Documentation: English | German || Shop owners or professional? - Maybe our Canvasio3D Pro is for you. By Thomas Scholl. The Category Order plugin allows you to easily reorder your categories the way you want via drag and drop. By Wessley Roche. Just another contact form plugin. Simple but flexible. By Takayuki Miyoshi. The Disqus comment system replaces your WordPress comment system with your comments hosted and powered by Disqus. Head over to the Comments admin page to set up your DISQUS Comment System. By Disqus . Manage, Protect and Track File Downloads from your WordPress site By Shaon. A simple and easy way to use Backstretch jQuery plugin in basic, slideshow and block level mode. You can upload/delete images via the administration panel, and display the images in your theme in any HTML element of choice. By Marco Galasso. This plugin will repair any tables that need repaired, then it will optimize the tables. By Donnie La Curan. This plugin makes it simple to add Google Analytics to your WordPress blog, adding lots of features, eg. error page, search result and automatic clickout and download tracking. By Team Yoast. This plugin will generate a special XML sitemap which will help search engines like Google, Yahoo, Bing and Ask.com to better index your blog. By Arne Brachhold. Integrates "Highslide JS" as zero-click-solution. By Christoph Dietrich. lpv Add in a page or post plugin's list activated on your blog. Just put this code : By lbcd78. Devinette : Ouioui à la… ? Create meta box for editing pages in WordPress. Compatible with custom post types since WP 3.0 By Rilwis. This plugin gives you a template tag which you can put on any archive page isotopes functionality By Move Plugins. My Page Order allows you to set the order of pages through a drag and drop interface. The default method of setting the order page by page is extremely clumsy, especially with a large number of pages. By Andrew Charlton. The famous Adobe Flash Plugins (SimpleViewer, TiltViewer, AutoViewer, PostcardViewer) from Airtight Interactive for NextGEN Gallery. Go to Gallery->FlashViewer to change the options. By ShabuShabu Webdesign. The most popular gallery plugin for WordPress and one of the most popular plugins of all time with over 9 million downloads. By Photocrati Media. 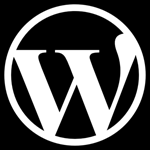 A plugin for integrating photos and videos from Picasa, YouTube, and Twitpic in WordPress. By Michael Toppa. This plugin add permalinks support for Shashin plugin galleries (default keywords: "album" and "page") By Sébastien "SLiX" Liénard. Converts SoundCloud WordPress shortcodes to a SoundCloud widget. Example: By SoundCloud Inc..
A free shortcodes plugin By AJ Clarke. Libraries to facilitate the use of Agile coding techniques for developing WordPress plugins. Contains required libraries for using plugins from toppa.com By Michael Toppa. Future upgrades to WordPress.com Stats will only be available in Jetpack. By Automattic. Very fast caching plugin for WordPress. By Automattic. WP-TabsAndSlides is plugin based on "joomlaworks Tabs & Slides Mambots" for Mambo/Joomla. TabsSlides (in content items) Plugin gives you the ability to easily add content tabs and/or content slides. The tabs emulate a multi-page structure, while the slides emulate an accordion-like structure, inside a single page! Usage Instructions By Abdul Ibad. how to feed your blog? Interesting fact. thanks for the info! and I’ll publish it as soon as i finish it. @ihateyourear – exchange link is possible. Use the contact form me to give me your link. thank your. bye ! @Wholesale shoes – thank you for your comments. @Learmaanasymn – thank you too !